Just before Christmas, Curious Inversions came up with the idea for our next artist challenge in the shape of a ‘Secret Santa’ challenge. The challenge was to create a track using at least some of the sounds from sample packs, along with a few additional sounds such as bass, percussion from the artists own collection. 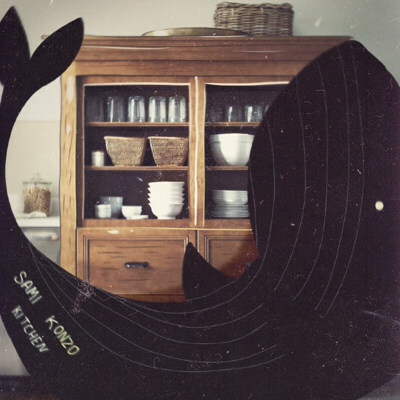 Seven sample packs were created by seven different artists, and then randomly distributed. The result is what’s now known as ‘Forms’. Some time a go, when I was digging in my graveyard to get rid of some bodies, I stumbled over some clay tablets with strange geometrical patterns on it. After much research I found out that they belong to the Sredni Stog Culture of the DDII settlements at the Dnieper valley and constitute the oldest musical notations known to archeology. Interestingly, they are a couple of centuries older than any known text so far. I spent the last months deciphering the instructions to recreate the music of these pre-archaic indo-europeans using modern means of sound creation and processing. Of course we do not know what instruments they originally used to play these notations and which frequency correlates exactly to which note in the sheet – future research may shed some light on this topic; all I can do at this moment is to give you my subjective interpretation of these clay tablets. The accuracy of this account is disputed. Party starts at 8PM. By 9 o’clock, we’ll be slamming on the dance floor. “erasing memories” was an idea developed for music to live and die on stage. Taking the past concept of music that dies on stage, Carlos Suero composed this unique piece of one hour, with various segments within, for this purpuse only. But, after reconsidering the idea of losing these tracks for ever; and having talks with friends, he decided to release it in order to making it avalable for everyone that couldn´t make to that night. The night was the concert played the 17/11/2018 and organised by RATORMOUTE in Madrid. The day after he set up the instruments again like the night before and performed the same concert this time in the studio. The music included here is without cuts or extras added, its is exatcly as it was the night before; live. Mastered by CSH at HomeStudios (Madrid). Earthlings’ is the result of Rangga’s interpretation after previously studying the works of Steve Reich. This album also became the beginning of Rangga’s work in electronic music. eww – The Cat Has Cometh! This album is about beat impressionism, when the beat does not make the rhythm, but the mood instead. Breakcore and IDM inspired mess of beats and breaks and plastic. When I was a child I used to gather all the wooden, metal and plastic boxes to make my “drum set”. I played my drums with spoons and sang aloud: “The cat has cometh!”. My passion for rhythmic music never faded, so, after growing up I still gathered all wooden, metal and plastic samples to make my virtual drum set. I like when the beat is not merely a metronome, even my favourite rock bands have drummer leaders – “Magma” with Christian Vander and “高円寺百景” with Tatsuya Yoshida. I like when the beat is flow, when it creates melody, when it gives tempo not only by beating the drum faster or slower but by creating the feeling of speed or chill. I do not intend to create a total abstract avant-garde mess, which ceases to sound musical, instead, I want to create the impressionist-like approach, when complex structures give rise to clear and almost tangible impressions. This “beat impressionism” might sound a bit harsh to an untrained ear, because that is how massive plastic sounds like. Just like metal music is basically harsh rock, so my plastic music is harsh IDM. Most of the tracks were created 15 years ago. Maybe they were ahead of time? Or maybe they sound like your childhood? Because they definitely sound like my childhood. As usual, every track has its own artwork. KMPST brings the best of the Moscow underground electroacoustic free improv tablet electronica and marks the beginning of a new exciting era on top-40.org with back-to-the-roots hidden gems, original hits, and more entertaining explorations of the unknown. KMPZ SESSIONS are designed as an acoustic labyrinth without exits but with many escape routes through paradoxical gaps in the aural continuum. Primordial, almost shamanic rhythms meet futuristic mech-a-droids in the vortex of high-freq noises and digital glitches, Amnesia Scanner versus self-mutated Autechre audio algorithms, dark soundscapes, and Muslimgauze’esque faux ethnic vibes. The opening track KMPZ 015, a rudimentary clicks’n’çutz dark breakbeat anthem, sends us off on a rather epic hour-long journey through an abstract experimentalist interacoustic universe. From suspenseful, uncanny deep dub pulsations on KMPZ 001 to a slowly unfolding, swampy bass micro-ambient soundscape KMPZ 004, with a slightly attenuated KMPZ 008’s distant motive and granular proto-rhythmic vibrations and entrancing melodies of KMPZ 012, KMPST presents a compelling yet highly abstract musical story. spontaneity, a mirror that transforms, absorbs and reflects.Released by Pilot Eleven Netlabel (PE018) 1 January 2019. Released by Pilot Eleven Netlabel (PE18) under a Creative Commons Attribution-ShareAlike 4.0 International license – CC BY-SA 4.0. 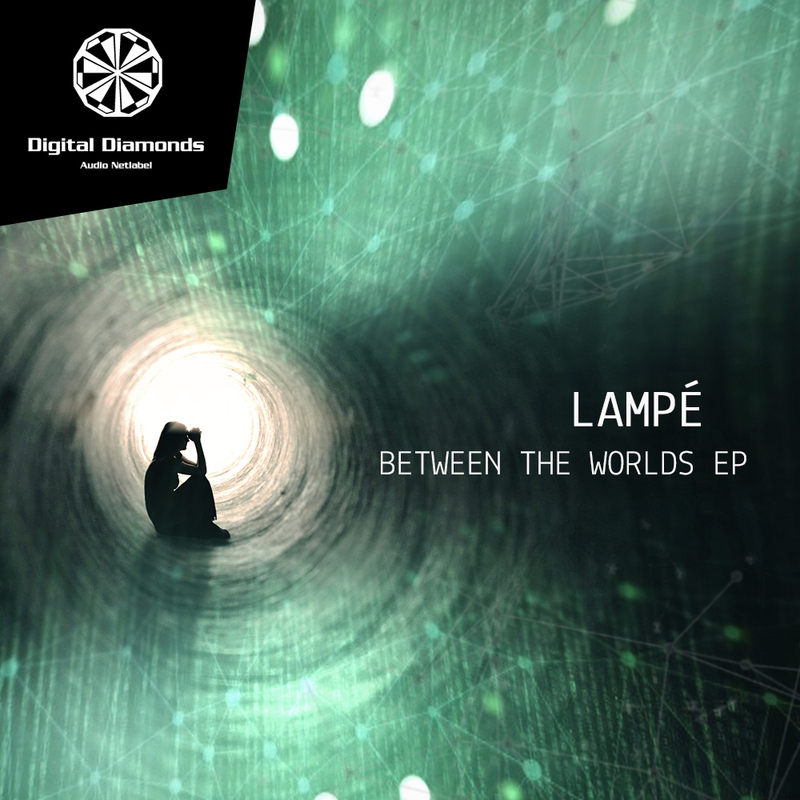 Master Lampé has come a long way, been traveling Between The Worlds, releasing on Soupherb and Phobos amongst other labels. His productions have hijacked many festival PAs last months, like Boom, Lost Theory or Wonderland and received massive support and feedback from DJs and dancers. The cherry on the top is a crunching and stomping Joseph Disco remix of Crystal Cave, which is Joseph’s debut track on Digital Diamonds at the same time. All in all a dope EP – Listen and repeat! Detroit sound artist and producer Rich Sudney goes dark this time with his release Autumn Rehearsal. Having a deeper sound then his previous releases, DF-5 takes a hibernating attitude fit for the winter months. Deep, dark and deliberate but not void of his signature musical structure. Few are more reminiscent of sound tracks from the movie Koyaanisqatsi. Others are just uplifting as usual. Rich Sudney directs us in his sound to ready us for rehearsal.